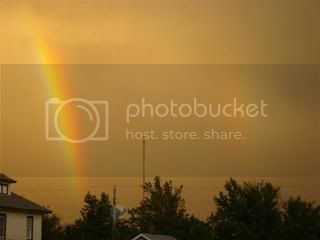 This entry was posted in Other Blogs, Storms and tagged rainbow. Bookmark the permalink. Question about your comment – do your cucumber leaves have spots on them or are they spotted with holes? And I’m surprised something’s eating the herbs. Herbs usually hold their own against pests since they’re so fragrant. Hmm. 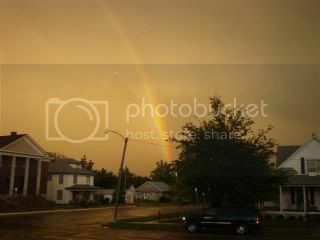 Love the rainbow photos, I adore rainbows. I’ll be seeing you around!